This is the general consensus among industry players and observers on the report that presents an amicable picture of the territory’s six gaming concessionaires and sub-concessionaires, which are likely to have their licences renewed. The question remains up in the air, however, and is subject to much debate: will the administration award one more licence? The report, officially titled ‘Interim Review of Gaming Liberalisation for Games of Fortune in Macao: Economic, Social, Livelihood Impacts and Operating Conditions of the Concessionaires’, covers nine categories from the fulfilment of contracts by the gaming operators to the impact of the gaming industry upon the city’s economy, society and business environment of local small and medium-sized enterprises (SMEs). In a press conference on the subject, Secretary for Economy and Finance Lionel Leong Vai Tac said the report – commissioned by the authorities from the Institute for the Study of Commercial Gaming at the University of Macau last year – showed the gaming industry had made “a positive contribution” to the development of Macau since its liberalisation in 2002. Despite a positive assessment of the industry, the official emphasised there was “no direct relationship” between the report and the renewal of gaming licences. The six licences will expire between 2020 and 2022 but the authorities have so far kept mum on the details and timetable of the renewal process. According to the gaming law, the authorities could still extend the licences for an additional five years before their final expiry. “This interim review report could potentially be used as a foundation document from which concession renewal discussions could begin,” another gaming analyst at boutique brokerage Union Gaming Securities Asia, Grant Govertsen, said. He highlighted “a key hurdle” for the six operators to have their licences renewed would be the proportion of their non-gaming revenue, as laid down by another official strategic document, Macau’s Five-Year Development Plan. The authorities are conducting a public consultation until late June on the development blueprint for the city between 2016 and 2020. One of the objectives is to increase the non-gaming revenue of the gaming operators to 9 per cent of their total revenue by 2020, from an average of 6.6 per cent in 2014. 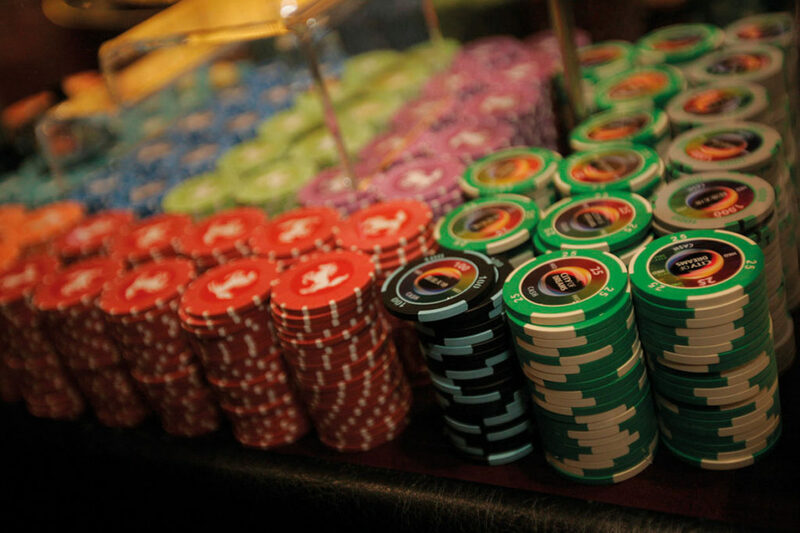 Of the six operators, the mid-term report found Sands China Ltd. and Wynn Macau Ltd. were the best performers in terms of non-gaming revenue, accounting for 21 per cent and 13 per cent of their total revenues, respectively, in 2014. The non-gaming revenues of SJM Holdings Ltd. and Galaxy Entertainment Group Ltd. were lower than the industry average, the report said, amounting to 2 per cent and 4 per cent of their total revenues, respectively, in 2014. Commenting upon the report, Ambrose So Shu Fai, chief executive of SJM, attributed its lower non-gaming presence to a lack of land for any development in the past few years. “In terms of the number of employees in the non-gaming sector in SJM, there has been a steady hike of 1 per cent each year since it was listed in 2008,” he stressed. The efforts the company put into the development of non-gaming offerings could also be seen in its latest project in Cotai, Grand Lisboa Palace, which will be completed by end-2017, he said, as over 95 per cent of the offerings in the new project would be non-gaming. In view of the mid-term report, Galaxy Entertainment said in a statement that transforming Macau into a World Centre of Tourism and Leisure was always a development goal of the firm controlled by Hong Kong magnate Lui Che Woo. ‘[We] hope to maintain effective communication with the SAR Government and different sectors of society in the future,’ the statement added. Although it is very likely the licences of the existing operators will be renewed from the perspective of industry observers, they are divided on whether a seventh licence is plausible. A speaker at the recent annual gaming trade show, Global Gaming Expo (G2E) Asia 2016, in Macau, CLSA Ltd. gaming analyst Aaron Fischer said it would still take some time before talks commenced about licence renewals, given plummeting gaming revenue and a monthly losing streak that has extended to two years as of May 2016. He added that the administration might decide to award one more licence to a local company, without detailing any reasons. Speculation about a seventh gaming licence to a local entity has been brewing for some time. Hong Kong-based Steve Vickers Associates, a firm specialising in corporate intelligence, security and consulting, said in a report last year: ‘The visibility of U.S. companies such as Las Vegas Sands and Wynn Resorts and [the] nationalist feeling in China could tempt the [Macau] Government to endorse a local competitor [for a new licence].” Las Vegas Sands Corp. and Wynn Resorts Ltd. are parent companies of Sands China and Wynn Macau, respectively. Local satellite casinos – third-party managed casinos operating under the licences of six gaming operators – and large junket groups were likely candidates, said the Hong Kong-based agency. Some of them have indeed expressed intentions of acquiring a gaming licence, most notably David Chow Kam Fai, co-chairman and chief executive of Macau Legend Development Ltd., which runs casinos in Landmark Macau and Macau Fisherman’s Wharf. He has said on several occasions that the local market needs more competition. His company did not immediately respond to comments for this story. But Zeng Zhonglu, professor at Gaming Teaching and Research Centre of Macau Polytechnic Institute, thinks there is not much room for the authorities to manoeuvre in the number of licences. “If the government hopes to introduce a new player to the market, there is not much land here for the new operator to establish a competitive presence against other rivals,” he said, referring to the government’s pledge that the five new reclaimed land plots would not be zoned for gaming development. He also noted the fact that the land concessions of the properties run by the existing gaming operators lasting longer than their gaming licences presented difficulties for the authorities regarding making any drastic changes. According to Deutsche Bank, the land concessions of major gaming projects here only expire between 2026 and 2038. For instance, the land concession of Sands Macau, the flagship property of Sands China on the Macau Peninsula, will expire by 2028, while the land expiry of SJM’s Grand Lisboa Palace will only occur in 2038. This means an operator could still run its properties without a casino for a certain period of time following the lapse of its gaming licence. After Mr. Xi swept to power in late 2012, the leader pledged a relentless effort to weed out corruption at all levels of Chinese society, one of the main reasons for headwinds in Macau casinos. The anti-corruption campaign and a slowing economy in Mainland China shaved 36 per cent off Macau gaming revenue in 2015 vis-a-vis the glory days two years earlier. The gaming figure expects the authorities would set up more requisites for the operators during the renewal talks to support other industries here and local SMEs, likely a target of procurement from local companies. Albeit a generally positive assessment of the gaming industry, the interim report noted the gaming industry has created ‘crowding-out effects’ on the SMEs, driving up rentals while straining the labour supply. Aware of the predicament of some local companies, the authorities have facilitated the collaboration between the SMEs and gaming operators, the report said. Following the publication of the review, Galaxy Entertainment and Melco Crown Entertainment Ltd. have respectively launched local SME procurement programmes with the prominent Macau Chamber of Commerce to share the economic fruits with smaller players. While the administration hasn’t elaborated upon how the renewal process such as whether a public tender will be held like the previous one in 2001 that attracted 21 bidders across the globe some believe international firms are lukewarm towards a possible entry to the Macau market. Brokerage CLSA estimates the return on invested capital (ROIC) for new casino resorts opening soon in Cotai could average about 17 per cent, a significant decline from over 50 per cent at the peak of the market. The brokerage added the ROIC in Macau still fared better, however, than other markets in the region. 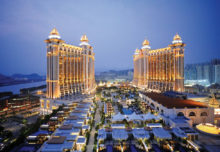 With the evolving market fundamentals, Mr. Shepherd said he did not see any particular firms would be interested in starting over in the Macau market, pointing out that Malaysian conglomerate Genting Group and U.S.-based casino group Caesars Entertainment Corp. have also pulled out from the city following failed attempts to build casinos here. Caesars Entertainment paid US$578 million (MOP4.62 billion) in 2007 for a 175-acre golf course in the gaming mecca in the hope of converting the greens into a gaming resort. But it sold the course five years later for US$438 million, as what its then chief executive Gary Loveman described as receiving a clear signal from the Macau authorities that it wouldn’t grant any more casino licences to U.S. operators. According to media reports, earlier this year Genting has also dissolved and liquidated its unit here, Genting Star (Macau) Ltd., which was said to be involved in the development of a casino hotel on the Macau Peninsula close to SJM’s Casino Lisboa. The project was to be a satellite casino using the gaming licence of SJM founded by tycoon Stanley Ho Hung Sun, but Genting later withdrew from the venture due to reported concerns of its links to Mr. Ho by the Singaporean authorities. Genting runs one of two integrated gaming resorts in Singapore. Besides the non-gaming offerings and support of SMEs, it is expected that the gaming operators have to step up their game for their employees for licence renewals with the mounting pressure from labour groups and the authorities. The city’s five-year development plan spells out that the proportion of resident workers in mid-to-senior level management of gaming companies should be boosted to 85 per cent by 2020 from 80.8 per cent in 2014. Leong Sun Iok, president of the Macau Gaming Industry Employees Home, an affiliate of the prominent Macau Federation of Trade Unions, criticised the mid-term report as “not comprehensive”. It did not cover several topics of concern to the workers – the benefits of workers apart from salaries, their working environment, and tobacco control in casinos, he said. “Tobacco control is particularly what many employees pay attention to as their health is on the line with it,” he remarked, adding a full smoking ban should be imposed in casinos as soon as possible. Currently, smoking is only allowed in airport-style smoking lounges on casino main floors while smoking is still allowed in VIP rooms. However, some casino workers have complained the partial ban was not strictly enforced and that their working conditions had not improved. During the renewal talks, Mr. Leong also suggested the government mandate the corporate income tax of gaming operators only be exempt to the degree of their fulfilment of social responsibilities like the treatment of their workers. Macau casino companies are now exempt from paying corporate income tax on profits from their gaming operations, as they have already paid a direct tax of 35 per cent on their gross gaming revenue; the casinos still have to pay income tax for their non-gaming operations. Regarding the gaming tax, legislator Mak Soi Kun proposed a similar scheme to Mr. Leong’s that achieves a different outcome. “The Macau gaming industry now faces competition from other markets like Singapore, the Philippines and Vietnam, whose gaming tax rate is as low as 10-15 per cent,” the legislator recently said in a Legislative Assembly session. Retaining the edge of the city, the authorities should set up a flexible mechanism during the renewal talks, allowing a hike or rebate on the direct gaming tax of the operators based upon their fulfilment of social responsibilities, he said. Although the interim report did not tackle any key issues, the JP Morgan analysts told investors it was still good news for the lacklustre gaming market. ‘No negative probably means positive [nowadays],’ they wrote.